Many years ago, when it was just Pisca, Karolina, and Noelle (plus Star but he was from a different location and was kind of on the outskirts of their clique), I set out to socialize these beautiful creatures. They’d been living at an alpaca farm with many others and when the owner was no longer able to afford them, all of them needed new homes. These three came to Winslow to live out their days in peace. They were very people-shy and uninterested in human touch. 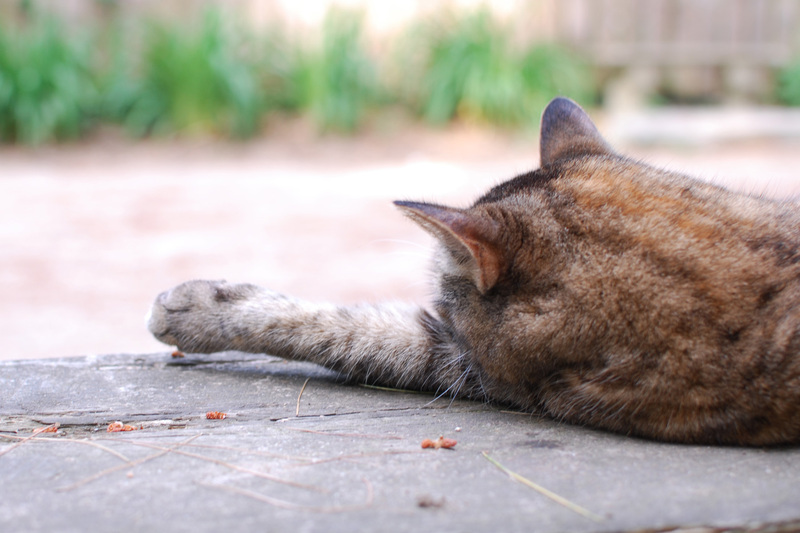 One of the ways that I try helping at Winslow is to socialize animals who’ve given up on people. I worked very hard with Athena, the sheep who lived on a median strip on 495, and by the end, I was able to lie down with her. 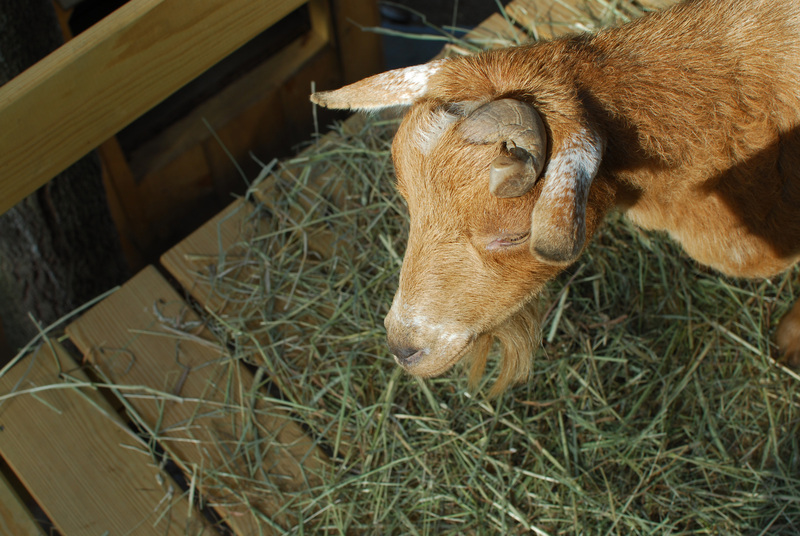 I continue to work with Justice, a once-feral goat, who now eats a treat from my mouth. And I’ve focused a lot of energy on these beauties. 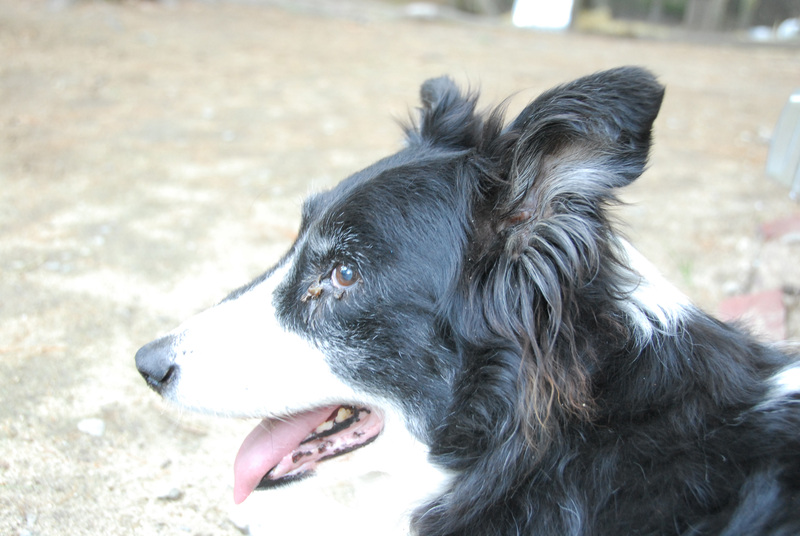 Before Pisca passed of old age (r.i.p. little lady), she was pretty comfortable eating grain out of a bowl that I was holding. Karolina became comfortable enough to eat grain right out of my hand. And Noelle would grab a bite from the bowl now and again. Once Fern and Charlotte, and then Leia and Sundae, arrived at Winslow, there were a lot more personalities floating around and trying to hand feed seven alpacas became less of a focus for me. Until last week. I was going about my chores, getting ready to feed the donkeys who were loudly exclaiming that it was taking too long. Gabriele, the llama, was lurking around the barn during this, which was a little rare. 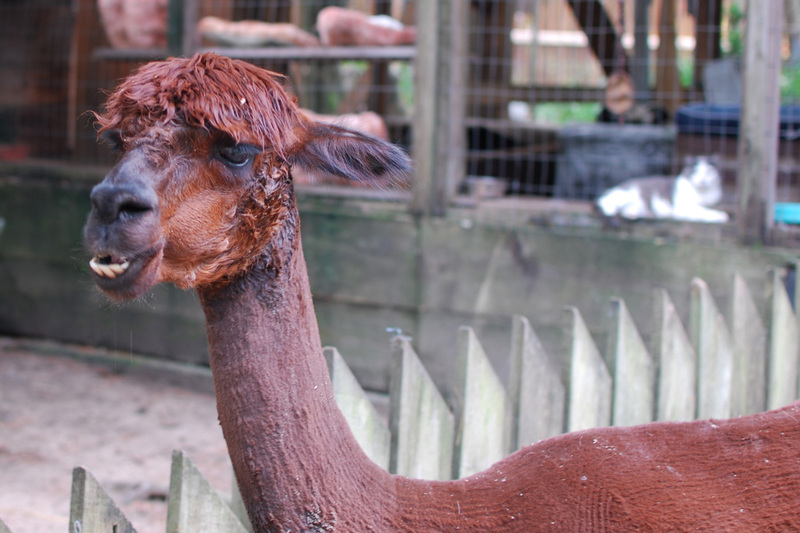 He usually goes to his little house, perched in the alpaca enclosure, without much protest. As I grabbed the donkey food and was setting out to feed them, Gabrielle put his nose right into the bowl and started eating it. I feed him a couple of fortune cookies each week as a little bonding ritual so hand-feeding him was normal but he’d never just shoved his nose into a bowl while I was clearly on my way to do things. But Gabriele was like, “So? 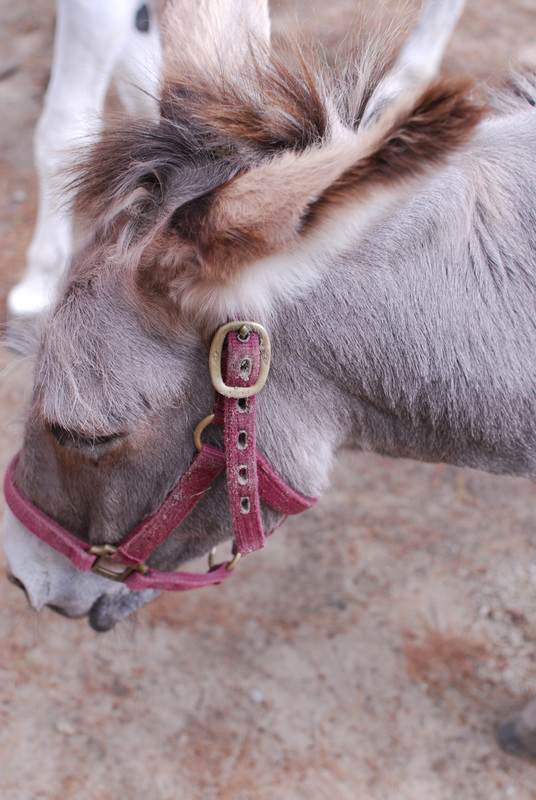 Mine now.” I gave in and let him munch, refilled the bowl, and went off with to the two cursing donkeys. I came back and he was still there. It was clear that he wasn’t going to budge from his spot and I realized that it was because it was icy and he was not having any of it. Here I am on the other side trying to coax him to come over. To be fair, it was pretty terrible out. So, yes, I started bribing him. I finally got him to trudge through the ice and continued feeding him from the bowl inside the enclosure. Good boys must be rewarded! This peaked Karolina’s interest and she started heading my way. Soon enough, she was eating out of the bowl while Gabriele was eating a handful out of my hand. The rest of the alpacas watched curiously. “What is she doing?” they seemed to say. “She’s never done this before.” And they stood, stock-still, behind her contemplating this new arrangement. Noelle came forward to eat but Karolina kept squawking at her to back off. I kept encouraging Noelle to ignore her but her daughter won that round. She waited until Karolina was done and found all the leftovers on the ground. Alpacas are wonderful, curious creatures. They have interesting quirks that I haven’t found in other animals. They blink differently, they argue with each other in amusing tones, and most fascinating to me, they scream at big dogs. I’d never heard anything like that the first time I heard it! I’ll see if I can dig up video. Mostly, though, I’d like to get into a big snuggle pile with them. I’m not holding my breath that it’ll ever happen, but I’m definitely crossing my fingers! The boxes had a few rectangles cut out and this beak peaked out, so I peeked in. Inside was a beautiful duck whose wings had been clipped. Obviously, she’d had human interaction and might have been someone’s pet. Deb agreed to welcome her home and we carried the box to the pond where the three ducks live. I lifted her out and set her down (as she flapped like crazy). She immediately ran over to the ducks. Like, instantly. We were open-mouthed and excited. She’s absolutely adorable. The boys in the pond were acting like they’d seen their crush and to play it cool, they pretended they didn’t see her. On a more serious note, the way she arrived at the sanctuary is unacceptable. The box was taped shut and left close to the road. There’s the possibility that it wouldn’t have been seen and she could have frozen to death over night. Or a predator could have found her, trapped helplessly inside. Or what if the sanctuary had no room, leaving it up to Deb to do the leg work of re-homing it? It’s one thing to be desperate, but at least call and ask if it’s OK to bring a homeless animal. Dropping off a box/carrier/anything and fleeing is never OK. If they’d called instead, the fact that the bird has clipped wings might have led to finding an owner. Or a bird sanctuary. Or someone who looking for a duck pal. Many things could have transpired. Instead, Deb was left without a choice but gained another mouth to feed. Each mouth adds up. Running a sanctuary is a labor of love not a cash cow. (Side note: every donation matters because every animal who lives there matters. Please support your local rescues!) Even leaving a $20 in the box with the duck would have been a good gesture. Anyway, this story of a lucky duck ends with a wonderful home and new friends. I can’t believe that my last post was in 2014. A lot has happened since then. I’m coming up on eight years at Winslow in a few weeks and I now have 6 cats and a dog. (I know, right?!) I plan on posting regularly again, for real this time. I also plan on diving into the experience of living with so many animals. In the meantime, here are a few of my favorite recent photos. Enjoy! Archer soaking up the sun with his best buddy, Roscoe, in the back. Scamp showing off her beautiful smile. Jackson is shocked (SHOCKED!) that I said I’d write more frequently and then didn’t! Sorry, Jackson!! I hope everyone has a wonderful week! 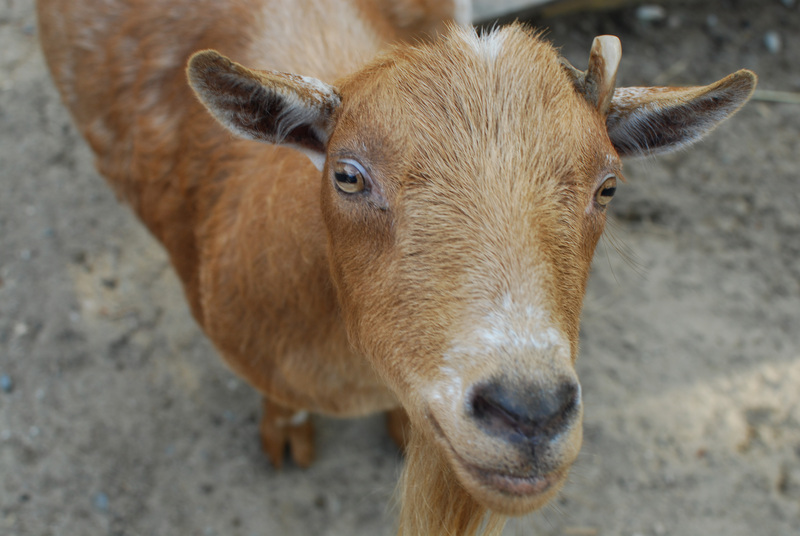 Don’t forget to follow me on Twitter (@mindingtheminis) for live tweets from the farm on Sunday afternoons. I realize that it’s been practically forever since I’ve posted and that the recent ones are all about the sadness in losing friends. I’m sad to report that this one isn’t much different as I found out yesterday that my little friend, Apricot, passed away. 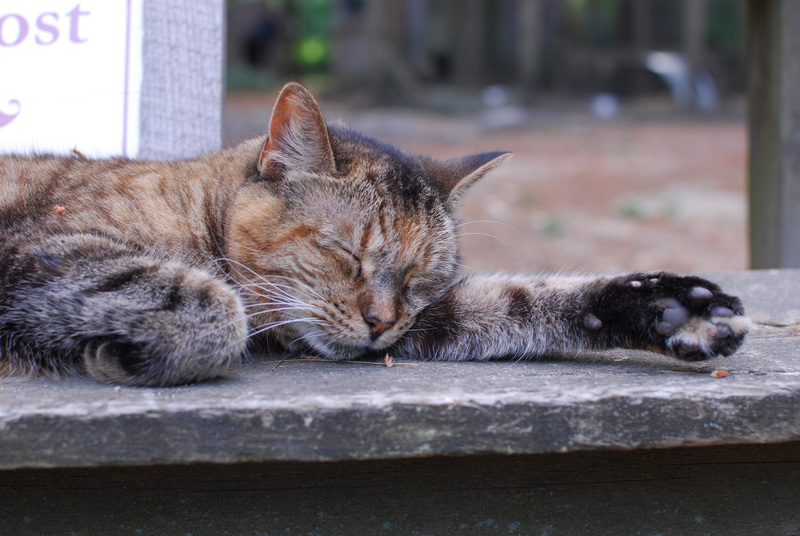 She’d been in poor health for quite some time and had fought through it by continuing to be as sweet as pie. I’ll miss her little under-bite. She was always moving around a lot so I have only one photo of her to share that I can find right now. But if I locate an under-bite pic, I’ll post it. You’ll be missed, sweet sweet girl. And I’m going to try to start writing regularly again. I love love love my job but it keeps me busy. I always get to the farm to visit my friends though and will try to bring those adventures back to the page. I’m still live-tweeting/gramming while there, so please follow me on twitter (@mindingtheminis) or Instagram (@mindingtheminis). I hope that everyone has a wonderful week. Hug your two-legged and four-legged friends close. I realize that I’ve been pretty silent for a long time now. My job has really taken off and my focus has definitely shifted. That’s not to say that I haven’t been at the farm! Just that the mental energy I’ve put into documenting my adventures has been redirected. In addition, there has been a lot of sadness for me at the farm recently. In a week’s time, two of my very best friends passed away suddenly. 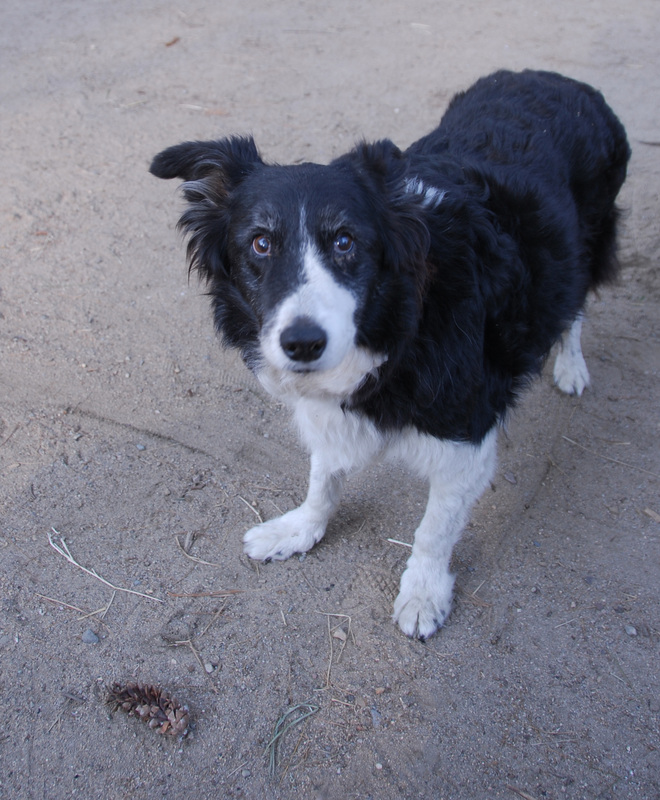 Lunar had a blockage in her stomach that needed emergency surgery. Dan and Connor, two of the incredible teens that devote so much of their time to the sanctuary, spent hours trying to get Lunar onto a trailer to get her to the vet. They struggled with her, attempting to get her up the ramp in any way that they could. And at the moment that they almost had her all the way up, her halter broke and they had no way to hold onto her. They couldn’t go on and she was unable to go to the vet. She was healthy in every other way, but because this was so serious, she ended up having to be put down. I found out about the blockage when I went to volunteer and spent a bit of time with her while others helped out, thinking that she would get better. I found out that she had been put to sleep when I visited on a Friday because I would be missing my Sunday shift. I never really got to say goodbye to her. When Deb and I talked about it, she said that by not being able to get Lunar on the trailer that she knew she wouldn’t survive. They did everything that they could to get her to surgery and Lunar would not go. While I was there, she mentioned that Athena was not doing very well. Her eyesight had deteriorated a great deal and she was having problems walking. 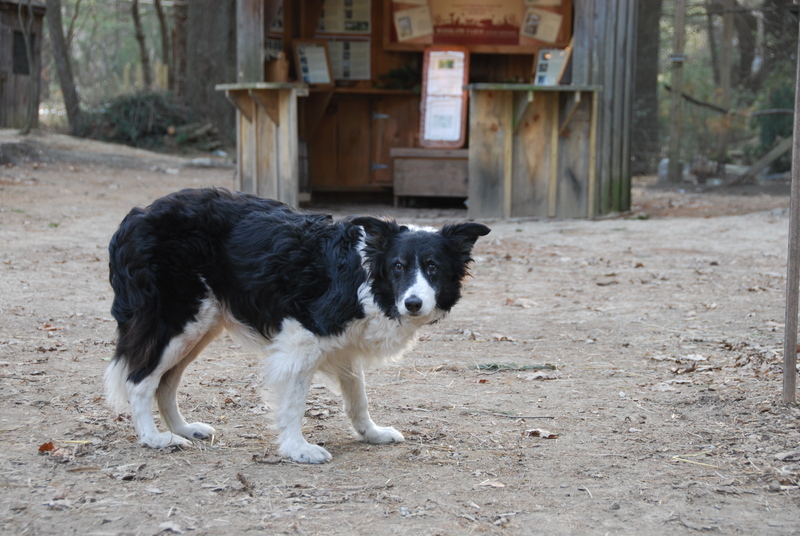 I stayed with Athena for a while in the sheep area just chatting with her. And then she did something very interesting. When I squatted down in front of her, I put my face close to hers and she actually put her nose right up against mine. Her soft, fuzzy nose was pressed up against me. She stared into my eyes and then she walked away. I went off on my weekend trip. And on the drive home late Monday, I received a text from Connor. He said that he was really sad to tell me that they’d had to put Athena to sleep unexpectedly that day. She hadn’t been able to get up and was suffering. I went to the farm early the next morning and spent time with her resting body in Gully’s pen. I haven’t cried like that in a long time. I held her for a long time and kissed her sweet face and told her I loved her many last times. In addition to my two friends passing, there were two other sweet creatures that also passed in the same time frame. 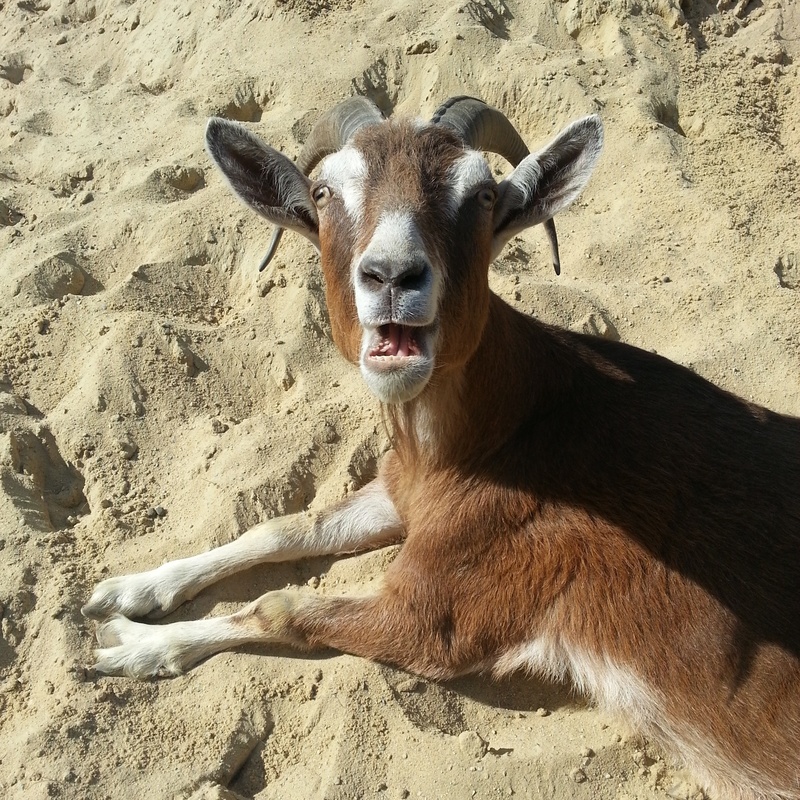 Crazy Xena, the goat and beautiful Shiloh, the horse, both left us. To say the least, it has been a sad couple of months, peppered with the joy and beauty that surrounds me when I’m there. Gully and I continue to be the best of friends and the alpaca girls actually approach me for food now. I will tell stories about that transformation soon. But all of the animals will be missed. The first week back without Lunar and Athena, which landed on the same Sunday, was really tough. Everything felt so empty without them. 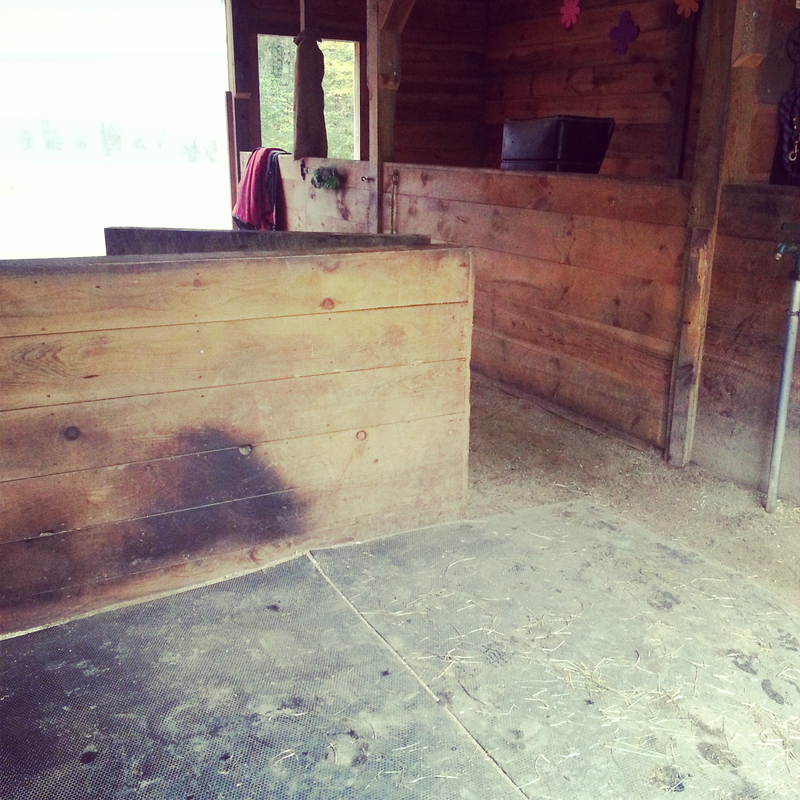 I still look longingly into Lunar’s stall and Athena’s empty space at the front of the barn. I am sad that I never got to say goodbye to Lunar and sad that I had to say goodbye to Athena. Lunar and I always had an easy friendship. My favorite thing that she did was to scratch her head (and often almost knock me over) on my leg. She was a sweet, wonderful friend. Beautiful, beautiful girl. I miss and love you. My relationship with Athena blossomed from a shy friendship to what I am convinced was love. 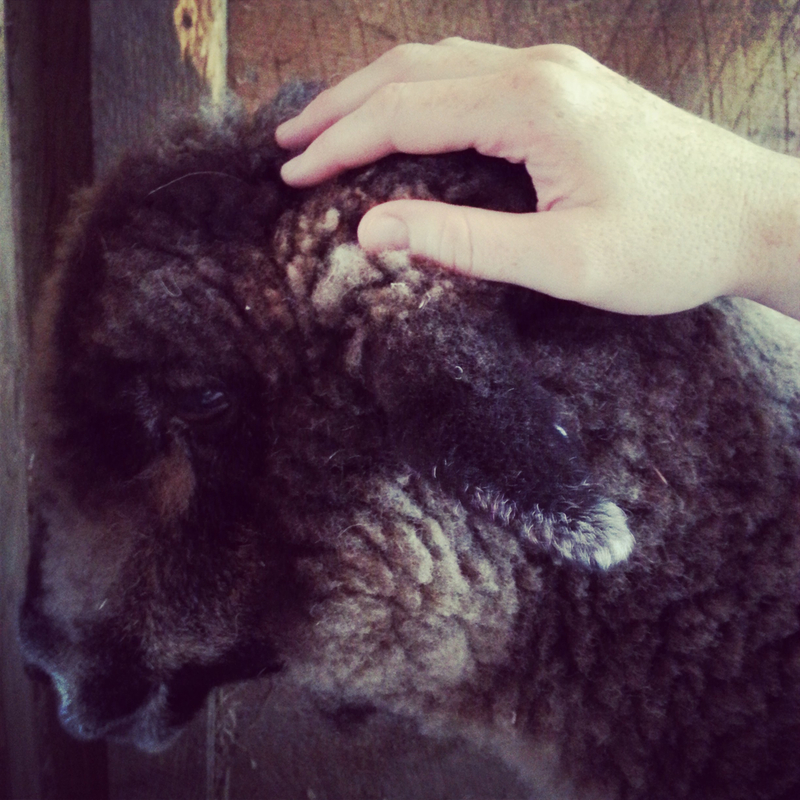 By the end of her days, she trusted me enough to let me scratch behind her ears and along her soft nose. She even fell asleep a few times while I was petting her. She was a true friend and I will never forget her. When I posted this to Instagram, my caption was “The fact that I can just walk up to Athena and do this is still nothing less that astounding to me.” And it felt that way every single time. She really grew to trust me. And in trusting me, she’d let strangers pet her when I was with her. Athena and Gully shared a quiet friendship. 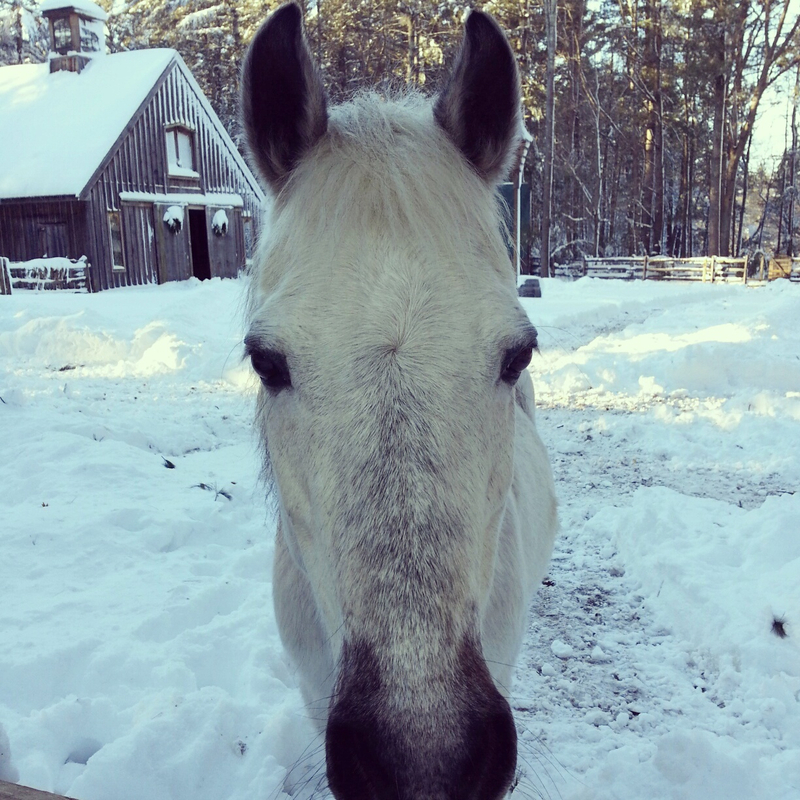 Now that she’s gone, Gully no longer wants to stay up at the barn (a story for another day). It makes me sad that I’ll never see this sight again, but I’m happy that I did get to see it so many times. I’ll miss this beautiful smile. The photos included in this post were all pulled from my Instagram account and can be found in my twitter feed. I take photos every week and post live to Twitter. So, if you’d like to “be there with me,” please follow me at @MindingTheMinis or go straight to the source for photos on Instagram, also MindingTheMinis. Hug your two and four-legged friends tightly. See you next week! I haven’t written in two months, so get ready for some photos! My job is so busy and so wonderful but coming home at night to write has fallen away from me, I’m sad to report. My last post was about sweet Pandy’s passing and I still feel a pang for her each time I visit the farm. It’s all part of the bittersweet moments that make up being part of a rescue or having any animal in your life, really. The probability that you will experience their death is always there. So, take all the moments that you can with them. Here are some photos of other friends at the farm that I’ve taken while my has sat waiting. 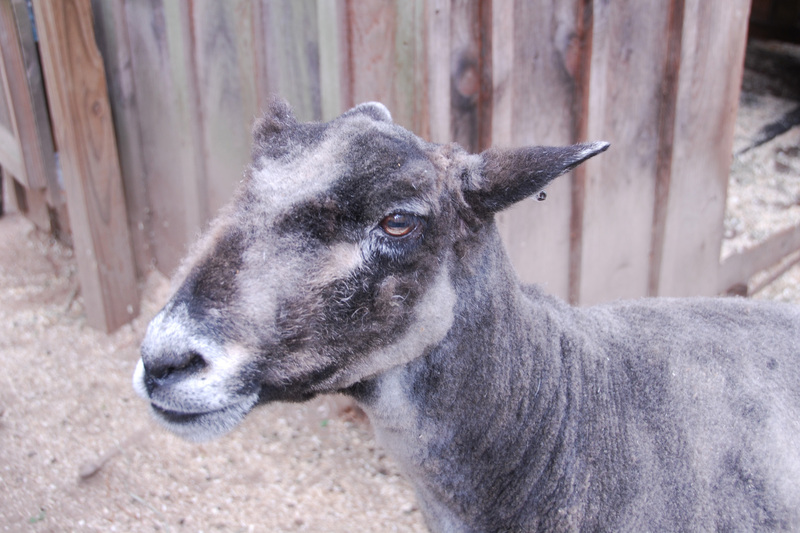 Athena was shorn along with the rest of the sheep at the beginning of May. Her face wasn’t entirely done so as she’s gotten more comfortable with me touching her (I’ve gotten to where I can pet her without needing to give her treats! Full body pets! ), I’ve pulled off what I could. I happen to really like the look though, so mostly I just go for the pieces that are really loose. And if you don’t like it, this is what Athena thinks of you! 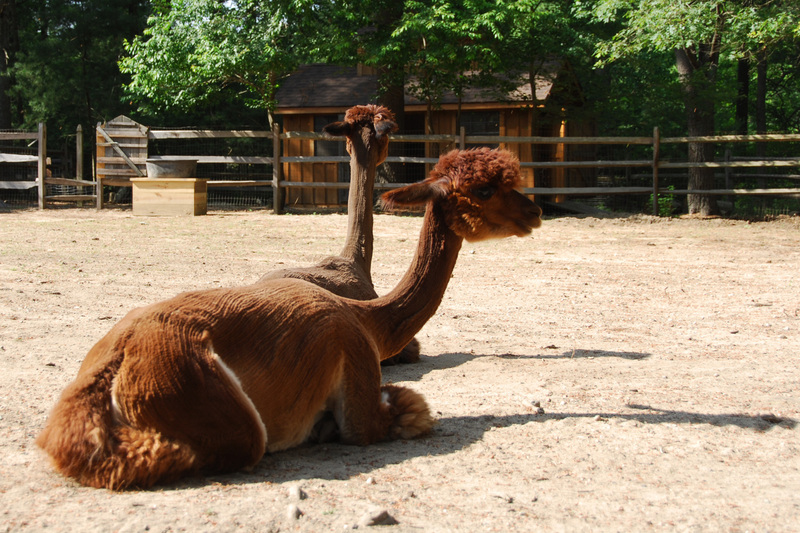 The alpacas were shorn in the middle of June. This was actually a somewhat scary situation because there aren’t a lot of people willing to shear alpacas. It’s a dangerous undertaking for both the animals and the people involved, so unless the animals belong to the shearer, many won’t undertake the risk. Deb sent out pleas nationwide and finally someone came forward to do it. (Thank you!) 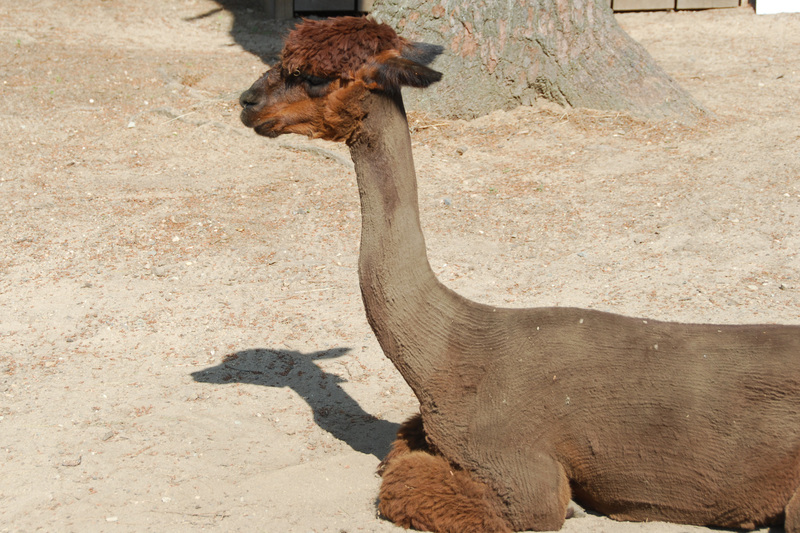 Alpacas need to be shorn each summer so that they don’t overheat, which they can do very easily and it can be fatal. So, while they remained furry, we kept a special eye on them for signs of distress. I was thrilled to arrive a few weeks ago and see them sans fur! First up, Pisca and Karolina. I especially love the patch of white that runs down Karolina’s back legs. …any way you look at it! Niko is going to have eye surgery soon and I am very happy about that. 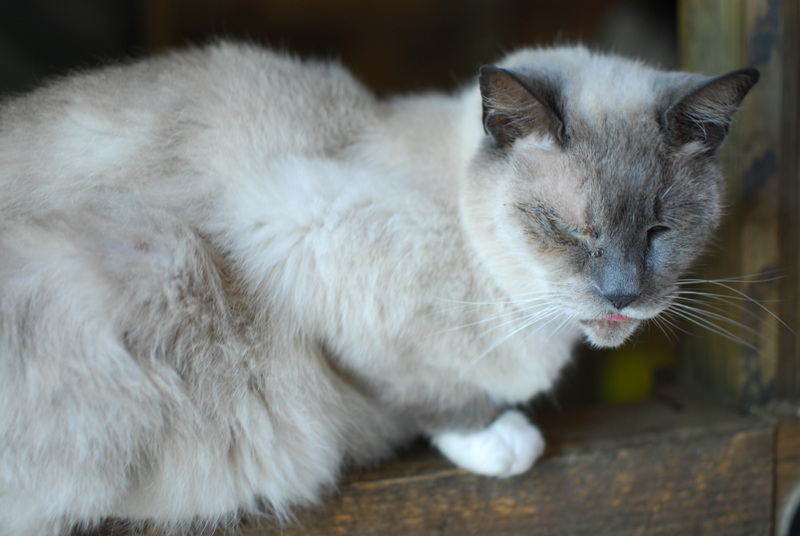 I haven’t posted about her in a long time, but she’s one of the cats who lives in Mooney’s barn (the name of the barn where Spirit, Lunar, Athena and Gully live) and she’s as sweet as ever, even when in terrible pain. Willow and Spirit becoming friends! 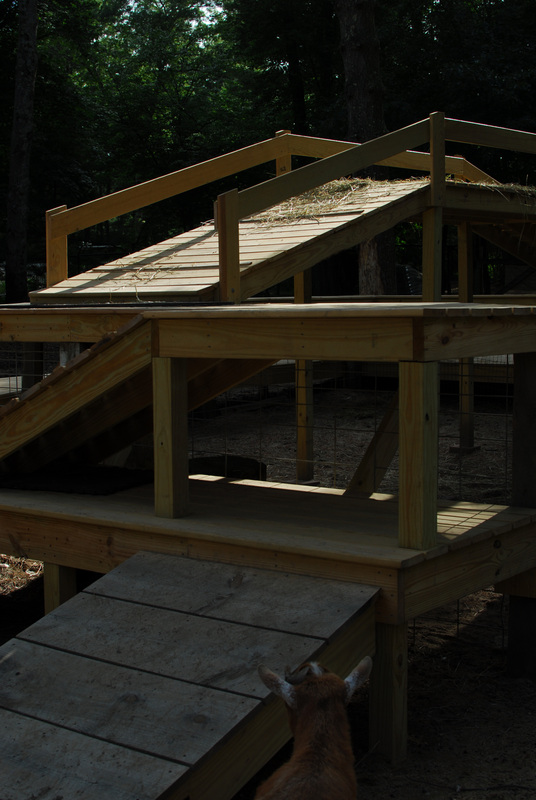 There is a new structure near the big barn that was built for the goats. 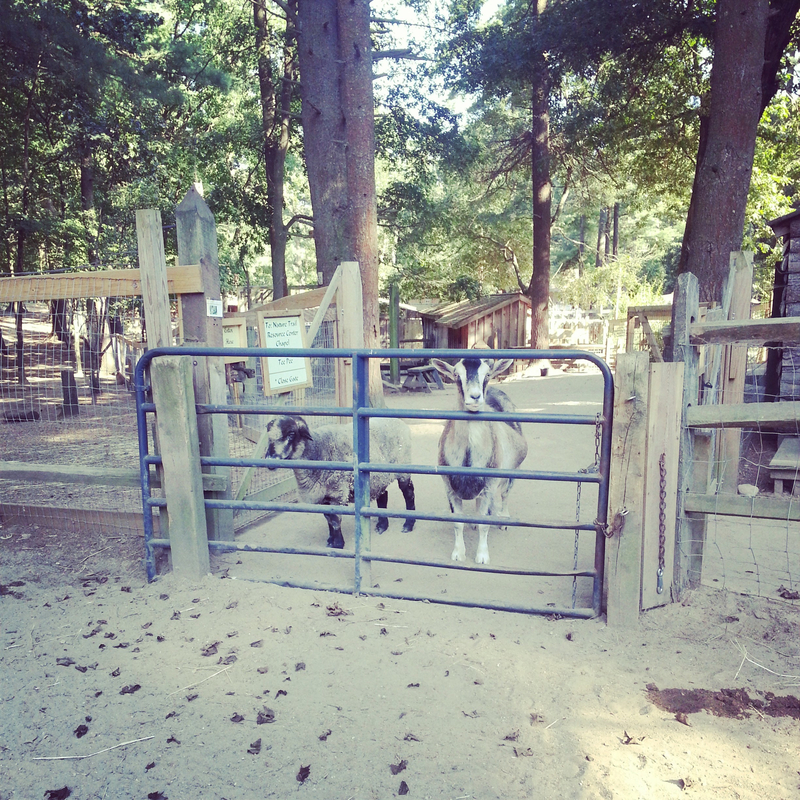 They’re kind of terrified of it though so it’s rare to actually see a goat on it. One afternoon, while feeding treats to Mervin at the end of my visit, I decided that he and I should go on an adventure. His opinion stayed on the “no, thank you” track until I pulled the treats back out. And climb it we did! He discovered that there was tasty hay on the top, too. He even climbed around on the lower levels and followed me back up for a second trip. My plan, when it’s not a million degrees out, is to do this with a bunch of goats. Last week, my friends came to the farm so I spent time all over the farm with them. 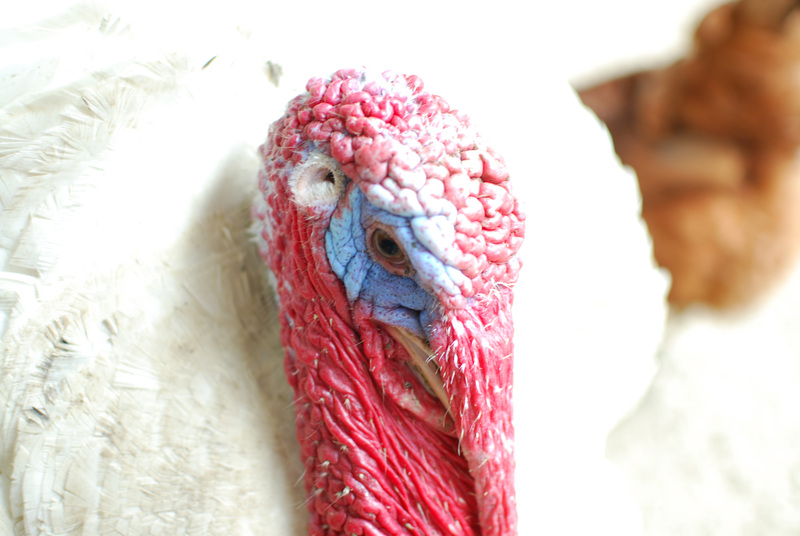 I haven’t seen my turkey love in forever! He was just as affectionate as always and I plan to get into the bird house again soon. I haven’t seen the donkeys in forever. Jezebel is such a beauty and has the sweetest disposition. And she’s soooo soft. They got to meet Gully and that’s always the greatest experience ever. (For me. He’s actually pretty standoffish with strangers.) Oh, Gully, my Gull. I love you endlessly. 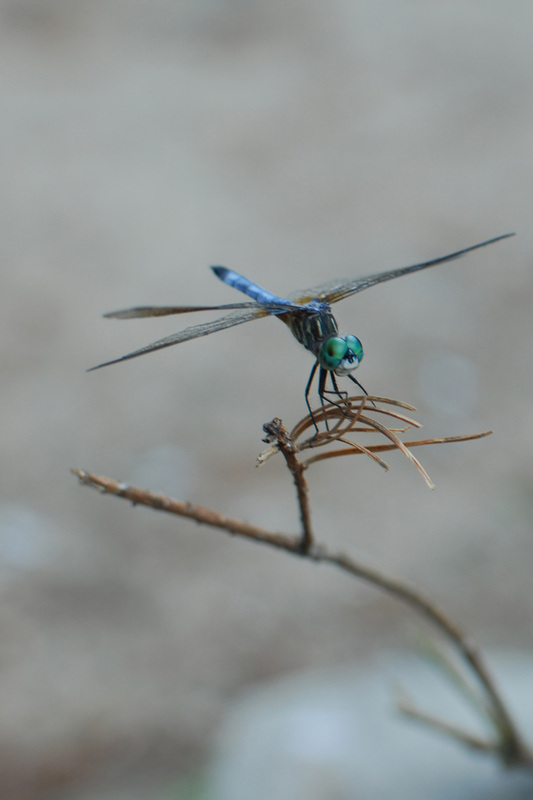 And since it’s July, there are tons and tons of dragonflies around, so I’ll end this catch-up post with another one of my favorite creatures on this earth. Follow me on Twitter (@mindingtheminis) or Instagram (mindingtheminis) if you want to see live tweets from the farm on Sunday afternoons! Saying goodbye is hard every single time. My sweet, sweet friend Pandy passed away this morning. She had lymphatic cancer which spread through her body. For a number of weeks, she was running around playing, almost a new dog. This last week, she started to go into decline. I was able to say goodbye to her yesterday and she was doing ok when I left Deb’s house. This morning, her decline was rapid. I was unable to be with her during her last moments, but there will be a burial tomorrow and I visited with her when she returned from the vet. Deb, the wonderful life force that is Winslow Farm, had surgery on Wednesday and has been in the hospital since and was unable to spend Pandy’s last days with her. Considering the grief I am experiencing right now, I can only imagine hers and I am waiting to hug her tomorrow. 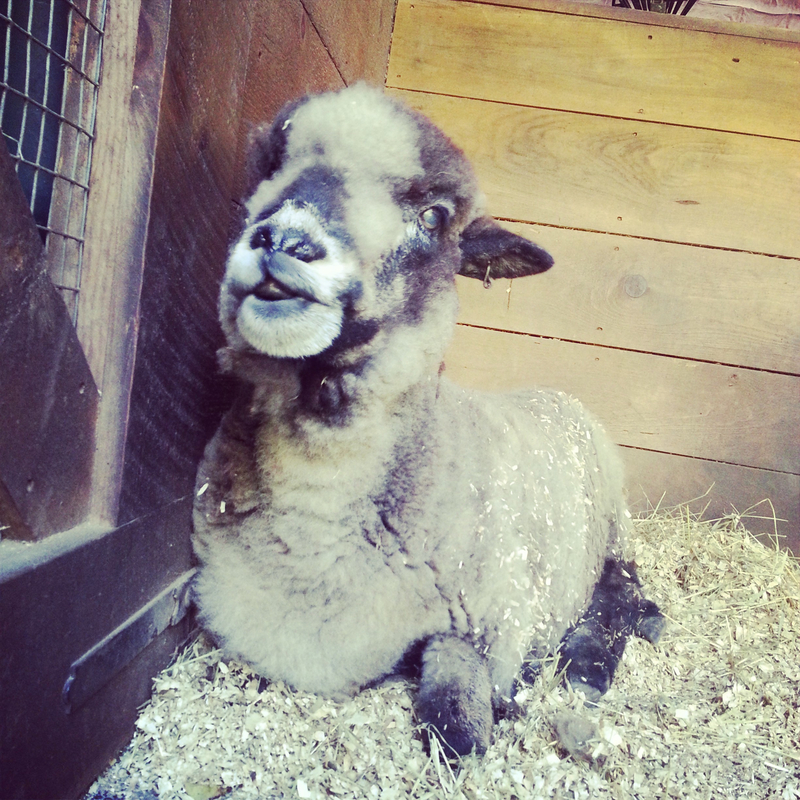 If anyone is interested in making a donation to Winslow Farm in Pandy’s memory, please contact me. 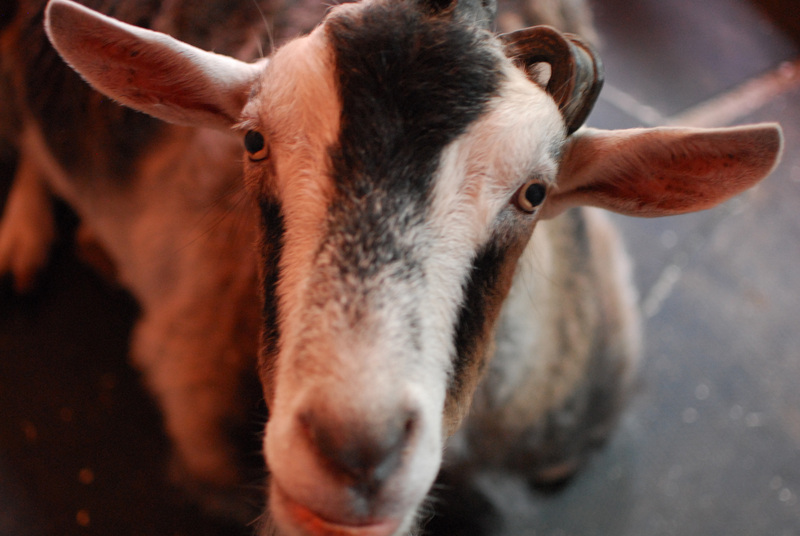 Winslow Farm Animal Sanctuary is an unbelievable place. 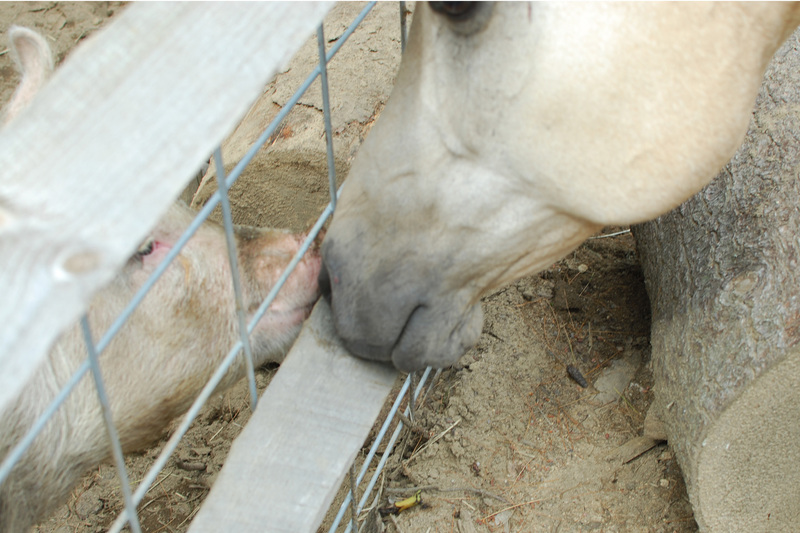 The animals who are lucky enough to live out their lives there are so well cared for and loved. I can’t imagine my life without Winslow in it. I’ll miss you and your pine cones, Pandy. I love you so much. 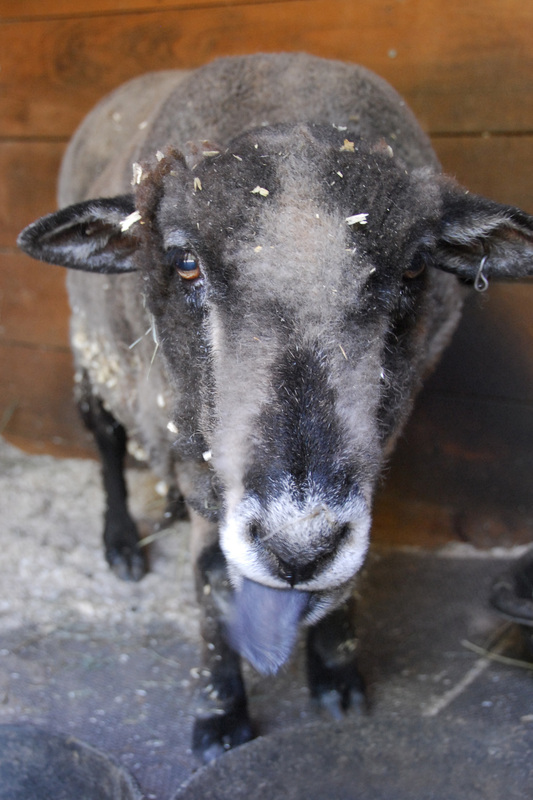 One of my sweet, sweet friends at the farm is sick. Dear Pandy has lymphatic cancer. Due to the cold weather, the dogs were often in Deb’s house during my visits and I chalked up not seeing her pretty face to this. 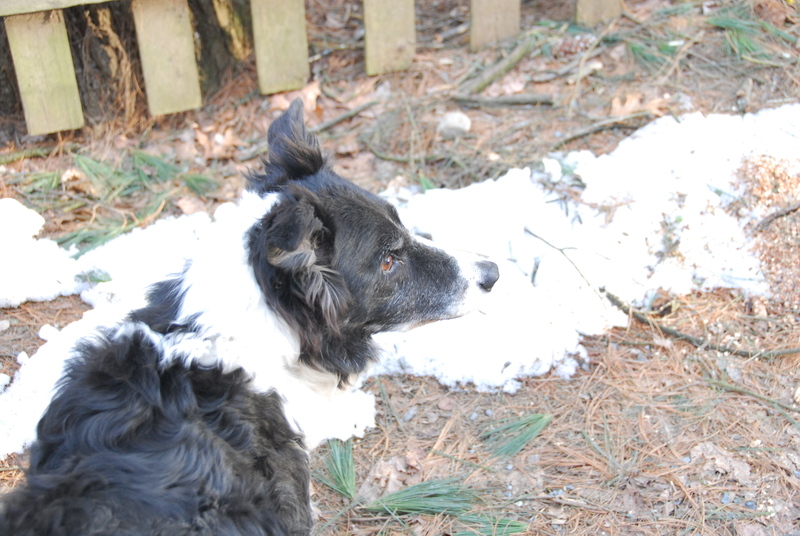 A few Sundays ago, she bounded up to me, pine cone in mouth and we played a rousing game of fetch. She leaned into my hugs a bit harder and I figured that she just missed me as much as I missed her. Right before I left, I was chatting with Deb about my excitement over seeing Pandy and she broke the news to me. The gentle dog had been on her deathbed for two weeks with a grim assessment. But then, all of a sudden, with a little help from Prednisone, her energy returned. Defying all odds, not only was she up and about, she was running around. Watching her closely (she was at my feet while I talked to Deb) I noticed that a change had definitely occurred in her. The extra hugs I thought I was imaging were in fact an actual response from her. Obviously, I don’t think she’s having conscious thoughts about a near death experience, but something has changed in her. This last visit, I checked in with Deb and she said that during Pandy’s most recent appointment, the vet said the cancer had spread throughout her body. Her energy levels haven’t changed and Deb reported that she’d been active all day and was just resting at that point in the house, but that we all know that Pandy’s time is limited. I went into the house to sit with her for a while. At first, Freedom tried to hog my time but even she sensed that she should hang back. Different cats kept trying to pile onto my lap and when I became distracted, Pandy reached out with her paw and touched my arm redirecting my attention. She’d never done anything like this before. I gave her lots of hugs and thought a lot about how much I love her. She smelled like the campfire, like the farm, like life. I don’t know how much time I have left with this beautiful creature but I’ll cherish every moment that remains. If she wants to run after pinecones, that’s what we’ll do. If she wants hugs, they’re hers. Hold your four-legged and two-legged friends a little closer this week.